Air Asia Promo Fares: Planning to travel soon? Then grab a hold of our special Valentine’s promo, Buy 3 get 1 FREE! 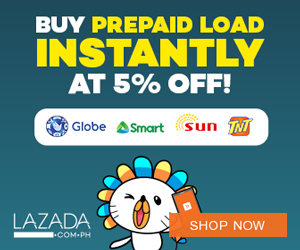 For more details regarding this promo, please head over to http://on.fb.me/1foSfev. This promo is called “Buy 3 get 1 Free Double Date for the Price of Three”. Pls. 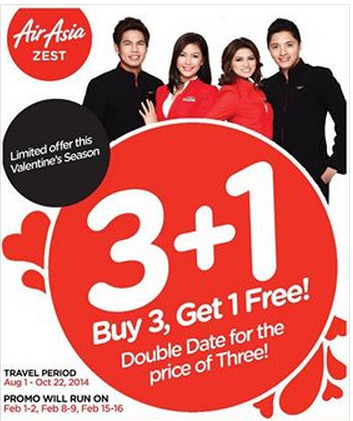 call Air Asia Zest's Number at 742-2742 for any information on the promo mechanics and other flight details.